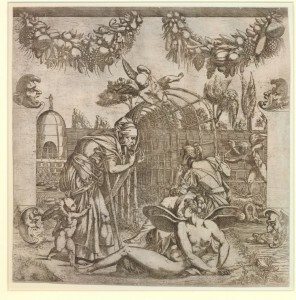 Etching by Antonio Fantuzzi, 35.1 x 34.9 L (London, W3-133). Inscribed on some impressions with a monogram at the lower left, appearing as: TA. Bartsch, XVI, 1818, 399-400, 62, as Anonymous, School of Fontainebleau, but appears to be by Fantuzzi, after Rosso. Herbet, II, 1896, 280 (1969, 76), 37, as Fantuzzi after Rosso’s painting in the Pavilion of Pomona, on the authority of Mariette. Zerner, 1969, A.F.38 (London, W3-133), as 1542-1543. COLLECTIONS: Chatsworth, Vol. 5, p.63, no. 106. London, 1850-5-27-96 IMP. SIZE (monogram not visible); W3-133. Paris, Eb 14d; Ed 8b Rés. Vol. II, no. 24. Reiset, 1859, 204 and n. 1, as of Rosso’s lost fresco in the Pavilion of Pomona. Dimier, 1900, 313, as related to Rosso’s lost fresco, according to Mariette. 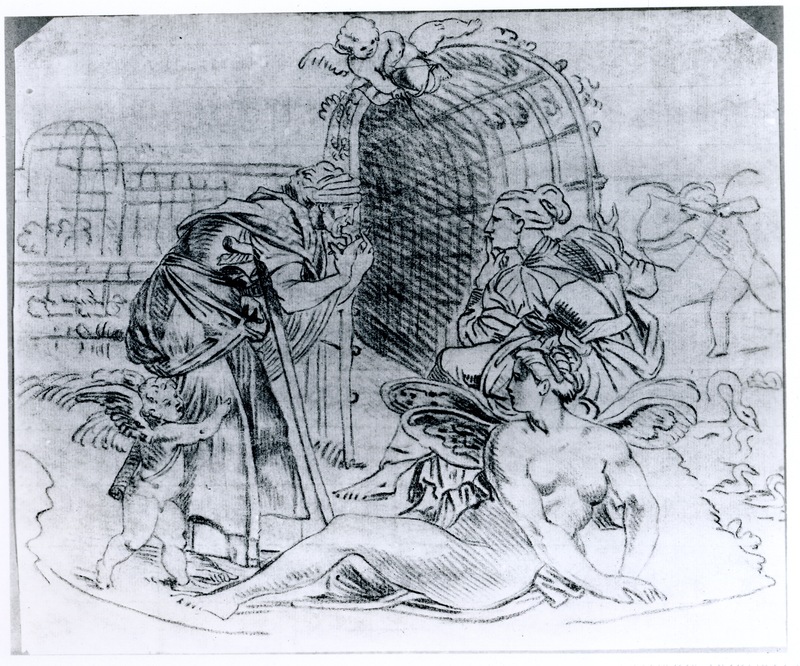 Béguin, RdA, 1969, 105, mentions the possibility that the Louvre drawing (see below) was made in preparation for Fantuzzi’s print. Zerner, in EdF, 1972, 264, Fig. (London, W3-133), 267, no. 315. Zerner, in Fontainebleau, 1973, I, 102, Fig. 76, II, 83-84, no. 315. Carroll, 1978, 42, 44, Fig. 30 (Paris), 48, n. 34. Zerner, IB, 33, 1979, 337 (London). Borea, 1980, 258, no. 650, 260, Fig. (London, W3-133). Adelson, 1980, 160, n. 66, Fig. 57. Carroll, 1987, 202-204, no. 65, with Fig. 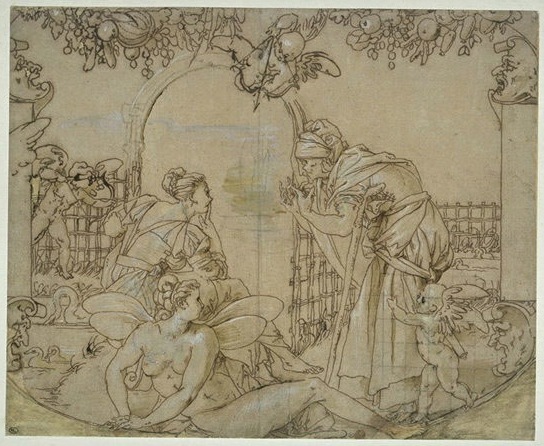 (London, 1850-5-27-96), as after a lost drawing by Rosso of 1532 to mid-1533 for the fresco in the destroyed Pavilion of Pomona. 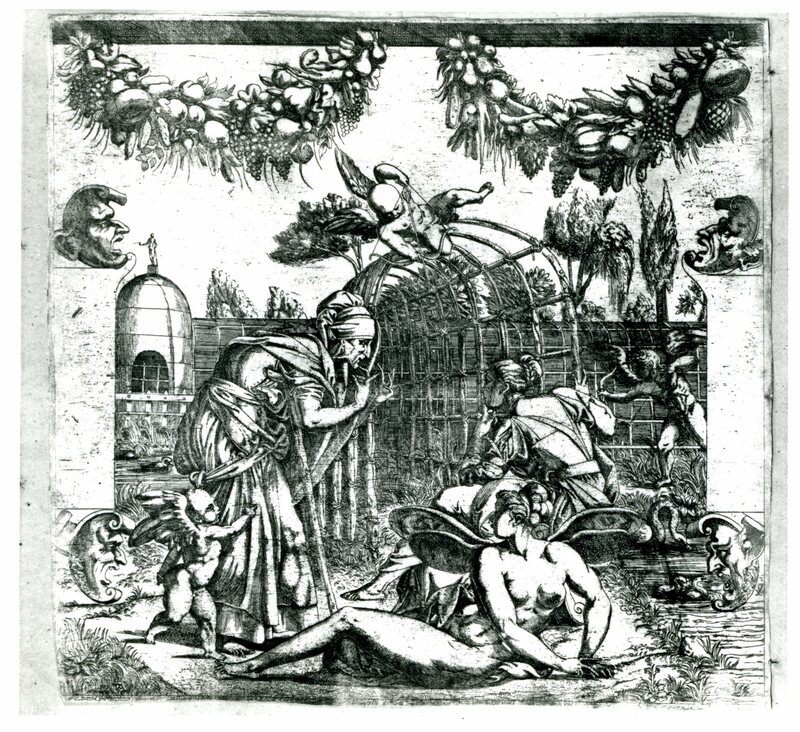 Fantuzzi’s etching is related to, but in reverse of, the copies in Paris (Fig.D.46Aa) and Brussels (Fig.D.46B) of Rosso’s lost drawing made in 1532 or 1533 for his fresco in the destroyed Pavilion of Pomona at Fontainebleau (L.39). 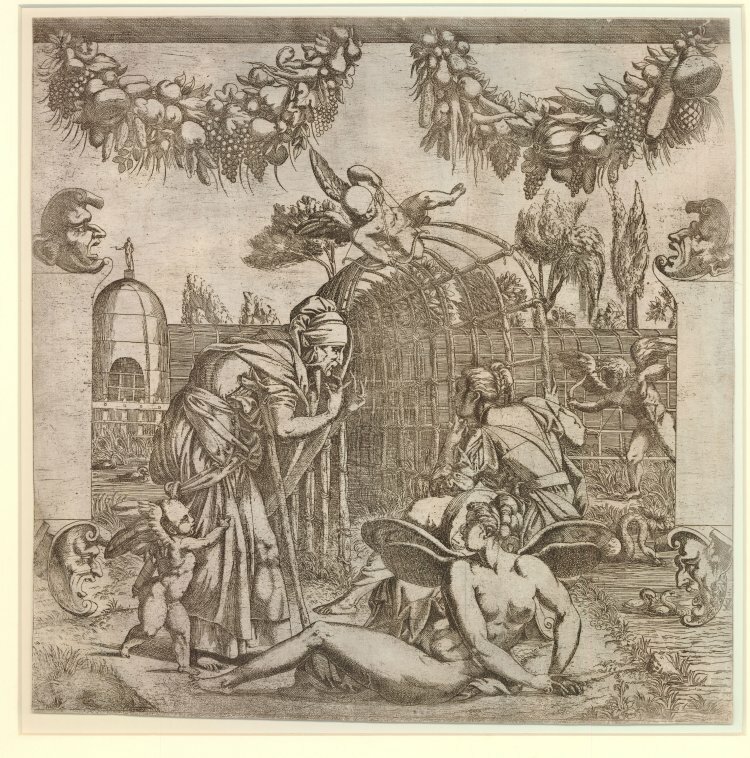 But as suggested in the catalogue entry of those copies, Fantuzzi’s print was probably based not on the lost original from which the copies were made but on another lost drawing by Rosso with the composition in a square format.